The dates, kick-off times and ticket prices have been confirmed for the 2018/19 William Hill Scottish Cup semi-finals. 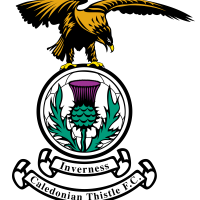 Heart of Midlothian take on Inverness Caledonian Thistle on Saturday 13 April, whilst Aberdeen and Celtic go head-to-head on Sunday 14 April. Both games will be live on Premier Sports, with Heart of Midlothian v Inverness Caledonian Thistle also live on BBC Scotland. Ticket Sale dates TBC, Please await for further info.